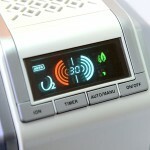 The sleek and compact oxygen machine uses membrane technology to filter the oxygen and nitrogen in the air. The membrane technology separates the larger molecules from the smaller ones, isolate, capture and harvests the filtered gas (oxygen) for use. 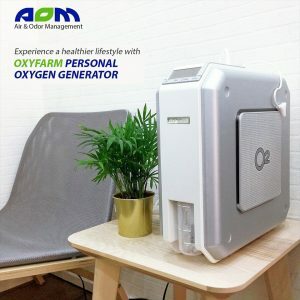 SA2500 Oxyfarm Oxygen Generator is ideal for places such as domestic homes and offices, providing individuals with convenient yet reinvigorating experiences. Model: SA2500. 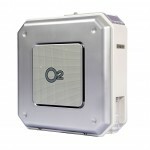 Categories: Air, Oxygen Generator. 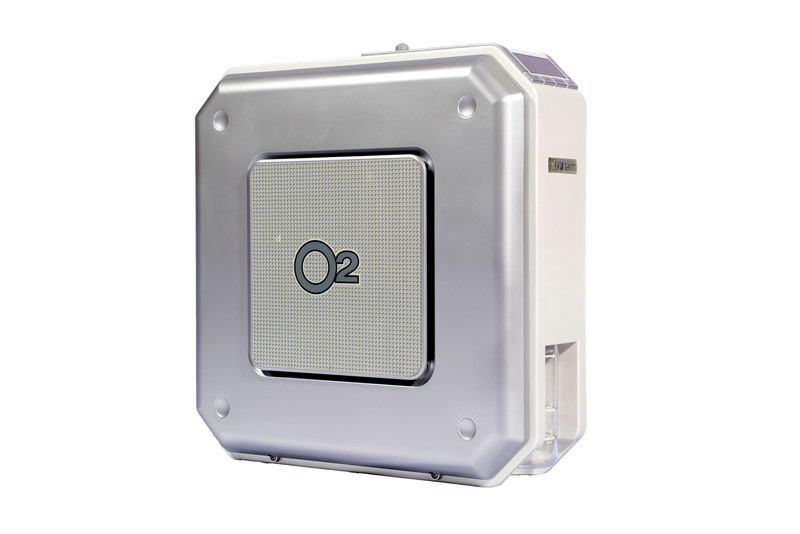 OXYFARM Oxygen Generator SA2500 uses membrane technology to filter oxygen and nitrogen in the air. Its membrane technology separates different sized particles to isolate, capture and harvest smaller oxygen particles for the machine’s utility. 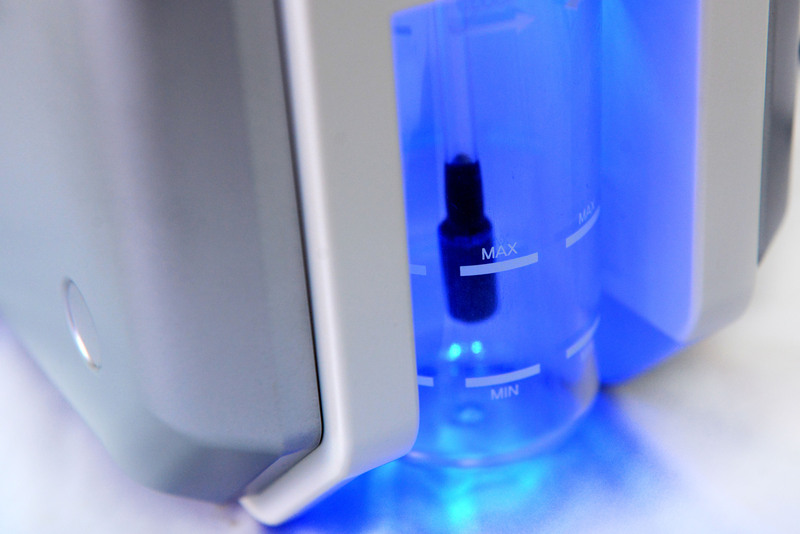 The machine’s processes produce zero chemicals, wastes, hazardous materials nor have any adverse effects on human health, therefore the ideal keepsake for the health-conscious. What can Oxygen do for you? 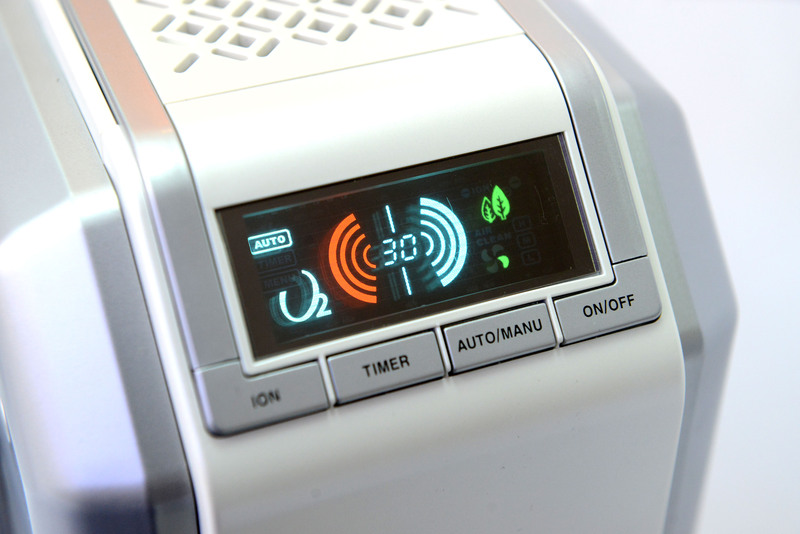 By optimized compact design, we minimized the size of the environment-friendly product with oxygen, anion, digital VFD and LCD membrane oxygen generation function. The dual noise suppression structure minimizes noise. 1. Those who need lively brain activities and concentration such as researchers and students preparing for an examination. 2. Those who suffer from chronic fatigue, lethargy or various mental stresses. 3. Those who experience vertigo, headache, loss of memory or dyspnea due to contaminated room air. 4. Senior citizens living in high-story apartments who lack outing and exercise. 5. Those who spend a long time in an office room or an apartment which is not well ventilated. 6. Drivers who feel tired in a traffic jam or a long-distance drive. In short, the OXYFARM Oxygen Generator SA2500 can be used anytime and anywhere. The maximum safety limit of consumable oxygen for human beings is 35.7%. 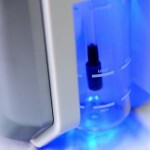 The unit supplies 30% oxygen concentration. For added value, combine oxygen with aromatherapy for an uplifting experience.